Halloween is even better now that I’m a parent! The excitement of pumpkin carving, costumes, Halloween music, festivals and of course eating LOTS of candy are so much fun as an adult. 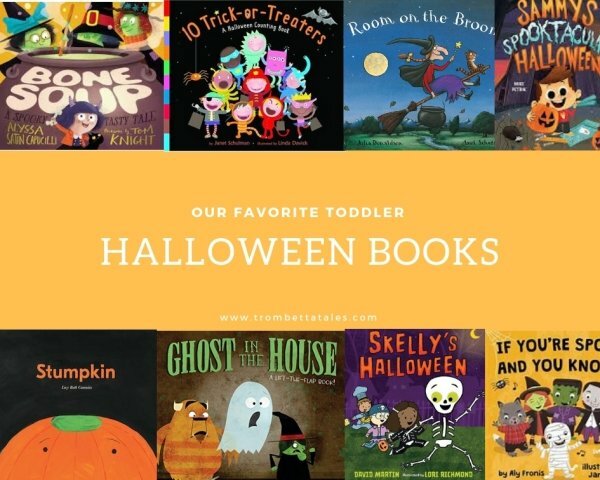 This year my Halloween booklist, is a collection of classic and new titles that my toddler ADORES! Some books on the list are new this holiday season and some are classic stories that continue to have a place on our Halloween bookshelf. Bright illustrations make this Halloween counting book entertaining and fun! It’s a rhyming story about 10 trick or treaters who one by one get frightened off by scary creatures until only one remains. The book also ends with an assortment of candy that’s fun to count! 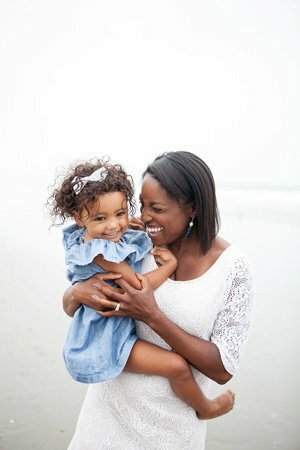 Who doesn’t adore the original song “If You’re Happy and You Know It”? Children will love stomping their feet with wicked witches and clapping their hands with spooky skeletons as they sing along. A great book to help get those extra wiggles out. When a skeleton who is literally falling apart is anxious about his first day of school, he leans on his monster friends. With their help, he not only learns the importance of friendship, but that it’s okay to be different. In addition to Halloween, this book is also great to help calm back to school jitters. A classic book that should be on every Halloween reading list. It’s about a witch flying on her broomstick with her cat when the wind blows different items away ( wand, hat, bow). As she goes to retrieve her items, she gets help from animal friends. When the broom breaks and disaster strikes, her animal friends come to the rescue. Written with clever repetitive rhymes and phrases, it’s a book that’s fun to read all year. The Netflix film and audiobook are also amazing! When Tomas moves into a new neighborhood, he feels shy about making new friends. When Halloween approaches, he decides to go trick or treating in a costume, so that his neighbors won’t know his identity. But, Tomas is in for a big surprise when his costume doesn’t hide who he is as well as he thought. This book is an excellent choice for a multicultural book, as it features Spanish words and phrases and is paired with bright and beautiful illustrations. An enduring story about a pumpkin with big dreams of becoming a jack-o-lantern in time for Halloween. However, he’s a stemless pumpkin, which makes him different from the other pumpkins. As other pumpkins are being bought and taken to new homes, he sadly remains on the shelf. This story will pull at your heartstrings and most certainly draw you towards that stemless pumpkin at the patch this year! Based on the classic folktale “Stone Soup” three little witches are joined by their spooky friends to make a batch of bone soup for Halloween. They start the soup off with a bone and enlist help from their neighbors for ingredients. Little chefs will also love making Bone Soup as the book includes a recipe card perfect for Halloween night dinner. Smelly is a a skeleton who LOVES Halloween! When he decides to trick or treat as a ghost, the wind topples him over and his bones break apart. His animal friends try to put him back together, but have no luck. His luck changes when he meets a group of children that know exactly where his bones are supposed to go and he learns that being a skeleton is scary after all! Haunted House lovers will delight in this spooky tale about a family that each year builds the spookiest Haunted House on the block. Sammy can’t wait to be part of his family’s haunted house tradition and spends an entire year inventing scary tricks. It’s a hilarious book that will keep readers laughing, as Sammy tests out spooky inventions on his family. We were given this recommendation from a mom in our preschool class. It’s the perfect blend of not being too spooky, paired hilarious rhyming text and pictures. It’s also a simple counting book and my toddler loves counting each new spooky creature as she lifts the flaps. Please let me know some of your favorite Halloween books! If you happen to read any of the books on this list, make sure to tag me on Instagram or leave a comment here!